It has been called the world’s oldest hatred. And the recent shooting at the Tree of Life Synagogue in Pittsburgh proves that antisemitism remains potent – both in the darkest corners of the Internet and, tragically, around the world. Is there something new about antisemitism today or is it just a continuation of old images and fears? 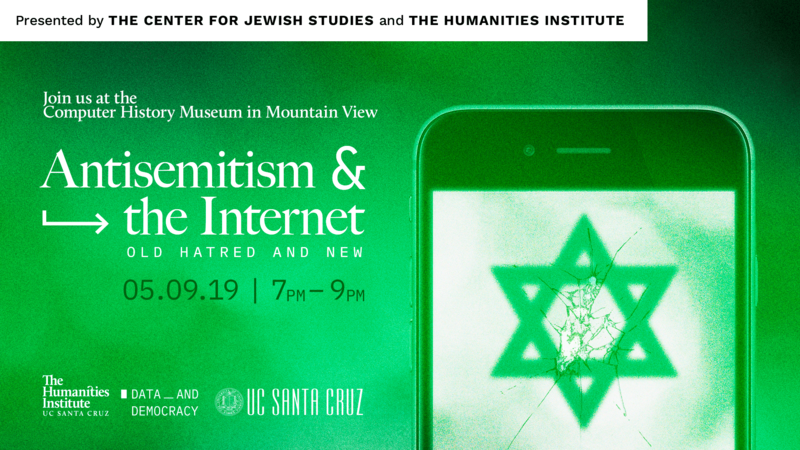 Here in Silicon Valley, we are in a unique position — and possess a unique responsibility — to confront the hardest questions about the relationship between antisemitism and the Internet. How do social media platforms create fertile environments for the viral spread of global antisemitism? Do these vicious strains relate to past forms of anti-Jewish hatred? Does the internet deepen the conspiracies that lie behind antisemitism? And, most importantly, how can members of the tech community harness new technologies against such hatred? 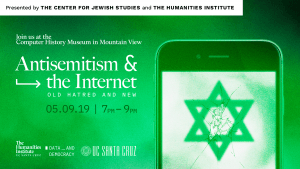 A conversation with co-Directors of the Digital Jewish Studies Initiative, Nathaniel Deutsch (UCSC Professor of History, Director of the Humanities Institute, and Director of the Center for Jewish Studies) and Rachel Deblinger (Founding Director of the Digital Scholarship Commons at UCSC). • Registration is required for this event. If you do not receive an email confirmation, then you may have not finished registering. Please contact thi@ucsc.edu if you have any trouble with registration. • Doors open at 6:30pm. Program begins at 7:00pm. • If you have disability-related needs, please contact the THI at thi@ucsc.edu or call 831-459-1274 by May 6, 2019. ← Can Jewish Customs Be Crowd-Sourced?